Hacer clic para información en español. Nosotros podemos ayudarle a aprender a hablar Inglés. If your native language is not English and you wish to learn English, both morning and evening English Language Acquisition (ELA) classes are available. Classes are held in Roseburg at the Wooley Center and at the main campus. UCC offers beginning and intermediate levels in this class. 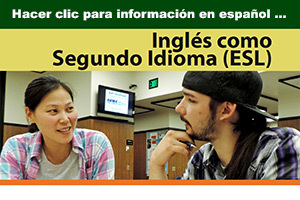 You'll receive instruction in speaking, reading, writing and listening to English in a fun, safe atmosphere. For more information, please call 541-440-4603. 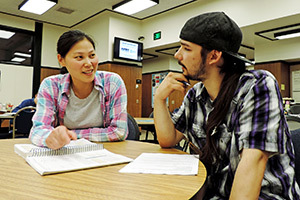 UCC graduate benefits from ELA, GED and AAOT programs to reach success.